We are engaged in offering Organic seeds. Our offered product is organically grown. - Oil seeds are available in India with different grades. It is originated from top quality soil and carefully cleaned before it is despatched. It is widely used all over the world and health food industries. Organic psyllium seeds is cultivated without any kind of Pesticide. It is 100% pesticide free and cultivated by our own farmers. 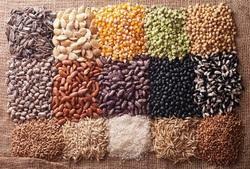 With the years of experience, our company is providing quality assured Gingelly Seed in bulk to our clients. This Gingelly Seed is extensively used for cooking purposes. It is generally used as a spice to add flavor to the dishes. Our product range is highly demanded amongst customers for its purity. Backed by the profound experience of the industry, we are also involved in importing and exporting superior quality Olive oil seeds. The olive seeds we offer are a rich source of dietary fiber, vitamins, iron, calcium and fatty acid, due to which, these are widely consumed as a healthy snack in various parts of the countries. We are engaged in offering a wide range of Avocado Seeds. These are commercially valuable and are cultivated in tropical and mediterranean climates throughout the world. They have a green-skinned, fleshy body that may be pear-shaped, egg-shaped, or spherical. Commercially, it ripens after harvesting. Can be grown in sunlit balconies & terraces too. Does not require any chemical fertiliser / pesticides. 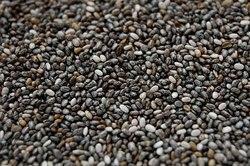 Chia has more iron than spinach, more calcium than milk, more omega 3s than fish, more anti oxidants, balance blood sugar, lowers cholesterol and blood pressure, aids in weight loss, rich fiber, rich antioxidants, improves memory, hair, skin, feel energetic, detoxifier, powerhouse of minerals.